The French Paradox. What Is It? Is It Real? In 1991 the televisions program 60 Minutes interviewed several doctors about the French Paradox. It is a term that describes apparently contradictory facts. French people have a diet that could kill a horse (OK, not really). They eat butter, cheese, cream, chocolate, wine, in a few words, everything that is yummy but “bad” for you; so have we been told here in the United States. And yet they have better cardiovascular health than people in the U.S. What is the Secret? Some health experts have concluded that it is the wine consumption, and specifically the resveratrol in it, that keeps them healthy. But is wine the reason why the French are thinner and healthier than Americans? 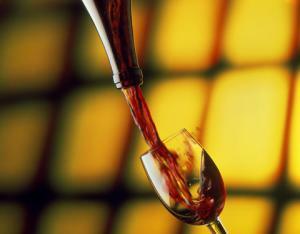 Many argue that wine, though it may be a contributor, is not the whole story. They point out that the French, like almost everyone else in the whole wide world, eat smaller meals than we do in the United States. In the U.S. we love huge meals. We feel cheated if we go to a “frou frou” restaurant and get a beautiful plate with an artistically presented small portion of food. What? You call this a meal? My six-month-old can polish this off in a matter of minutes! Not only do we love an “all you can eat” experience, we love it even more because it is usually accompanied by a low price. “All You Can Eat For $4.99”. I mean, what could be better? Lots of food, and a bargain to boot! And we usually eat this meal in a rush because we are in a hurry to get somewhere else. Perhaps the French Paradox is that they value flavor over size, and beauty over bargain. If you have ever been to Paris, and walked its neighborhoods, you probably have seen small shops with gorgeous window displays. They are not fancy or high teach, just stylish. The same is true of food. Any corner restaurant has delicious food and the presentation is lovely. And yes, absolutely, wine is always present in the menu and at the table. Though it appears that the way that the French eat, and not just what they eat, has something to do with the French Paradox, many studies do show that wine, especially red wine, does have a beneficial effect for those who drink it in moderation. There is a lot that we can learn from eating the French way. Eat what you like, eat it in moderate amounts, slow down, enjoy the experience, and drink wine!